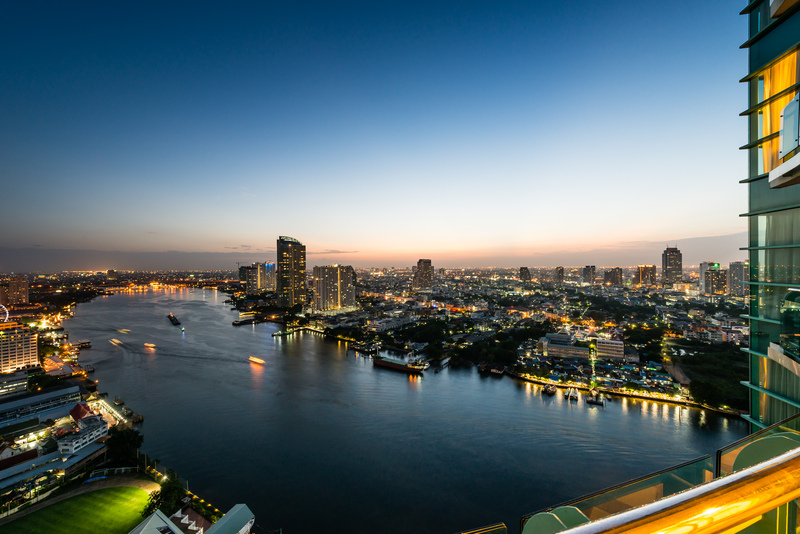 There are many places to choose from to stay when visiting exhilarating and exciting Bangkok, Asia’s renowned “City of Angels”, but few can compare with the understated elegance and enviable location of Chatrium Hotel Riverside Bangkok, situated on the very banks of the magnificent Chao Phraya River. 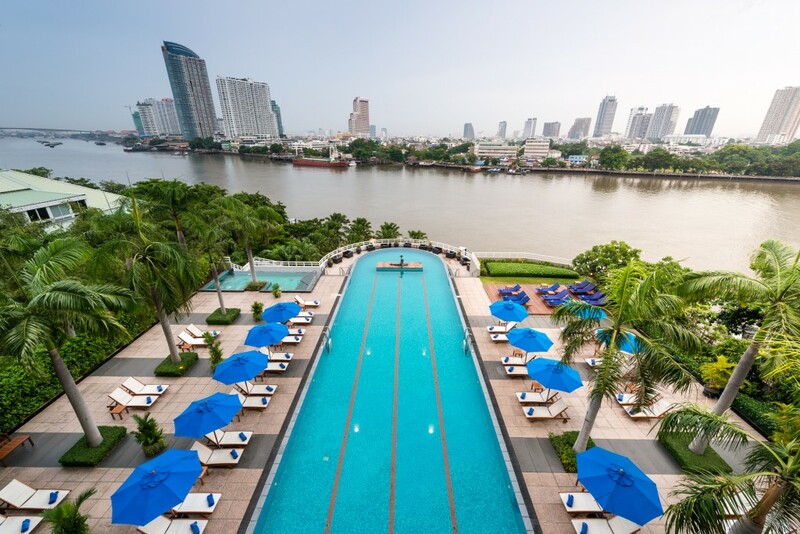 Guests will quickly come to appreciate and understand why Chatrium Hotel Riverside Bangkok gained 4th place in the highly-regarded Hotels.com “Top 10 Hotels Loved by Guests” awards from the moment they step through the doors and receive the warmest of the world-famous Thai welcomes. 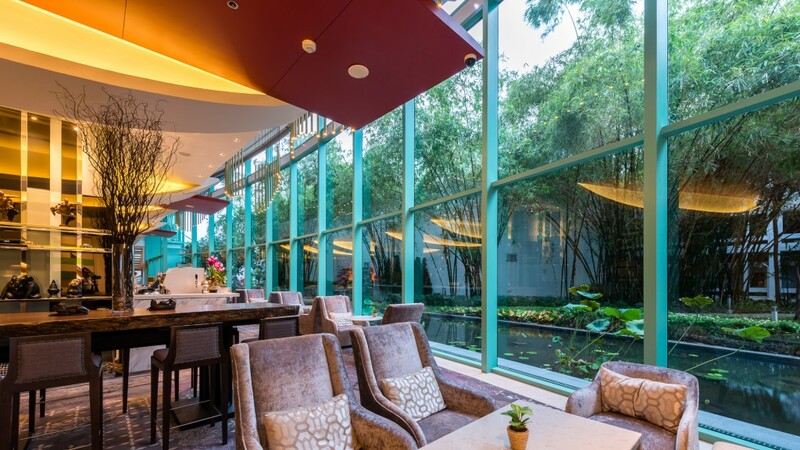 Every facet, every aspect, every small, well-thought out detail of the operation at Chatrium Hotel Riverside Bangkok has been designed with one thing and one thing only in mind- to provide a consummately satisfying and memorable stay for each and every guest. 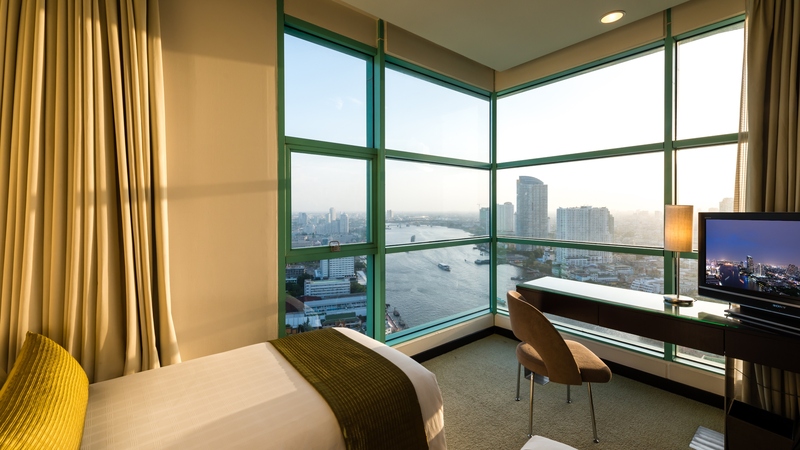 All 396 well-appointed guestrooms and suites, featuring class-leading space and a host of amenities and facilities, come replete with mesmerizing picture-perfect views of either the imposing Bangkok cityscape or stately Chao Phraya River to be taken in from the comfort of your cozy bed or spacious private balcony. And for when guests have the difficult decision of venturing forth from their cosseting sanctuary the hotel provides a number of opulent facilities, including a 35-meter river frontage infinity pool, fully-equipped high-tech fitness center and a range of indulgent rituals and treatments including traditional Thai massages, aromatherapy and facial pampering at the sedate Netima Spa. Chatrium Hotel Riverside Bangkok also offers a choice of state-of-the-art conference, function and meeting rooms catering for any number of guests so whether it’s the dream wedding you’ve always promised yourself, an international symposium, or your company’s annual shareholders’ meeting the dedicated, experienced events team are on hand to guide you through every step of the way for a successful day. 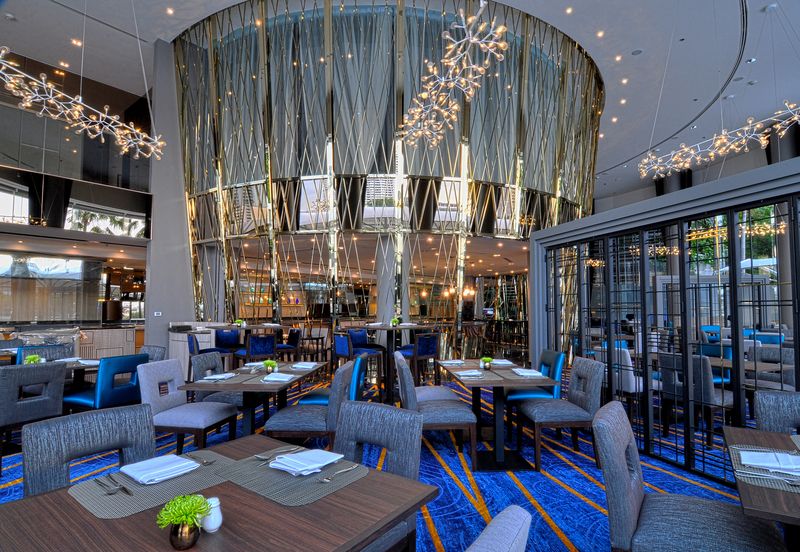 But what’s a perfect stay without perfect dining and relaxation options I hear you ask? Well Chatrium Hotel Riverside Bangkok has that taken care of too. The recently reopened and refurbished River Barge restaurant has a tantalizing selection of Bangkok’s best themed buffets every night of the week starting with the “River Barge Signature Dinner Buffet” from Sundays to Wednesdays featuring a virtual feast of “catch of the day” seafood and international favorites as well as some of Executive Chef Andrew Brown’s artisanal signature specialties while Thursdays brings the “Thai Night Dinner Buffet”, presenting the very best freshly-prepared cuisine from all four corners of one of the world’s greatest culinary nations. Fridays and Saturdays offer the “Remarkable Riverside Dinner Buffet”, which truly does justice to the word “remarkable” with an unmatchable choice of tempting dishes including imported Wagyu beef and foie gras prepared à la minute and for a leisurely dining experience spent in the very best of company “Sunday Brunch by the River” brings the finest of the week’s offerings together plus pre-lunch cocktails at the 36th floor lounge, dedicated Kid’s Corner with their very own buffet line and a dessert section open until 4 p.m. All nightly buffets are available from 6.30-10.30 p.m. with Sunday Brunch from 12-3 p.m. plus an extensive full à la carte menu is also available. For a gourmet dining experience with a view to match then Silver Waves Restaurant on the 36th floor is beyond compare featuring Bangkok’s most awe-inspiring vista and an eclectic menu of both contemporary and classic Cantonese cuisine with a twist expertly prepared by Chinese Master Chef Yang En Chung and his team including his delectable freshly-prepared all-you-can eat dim sum delicacies. 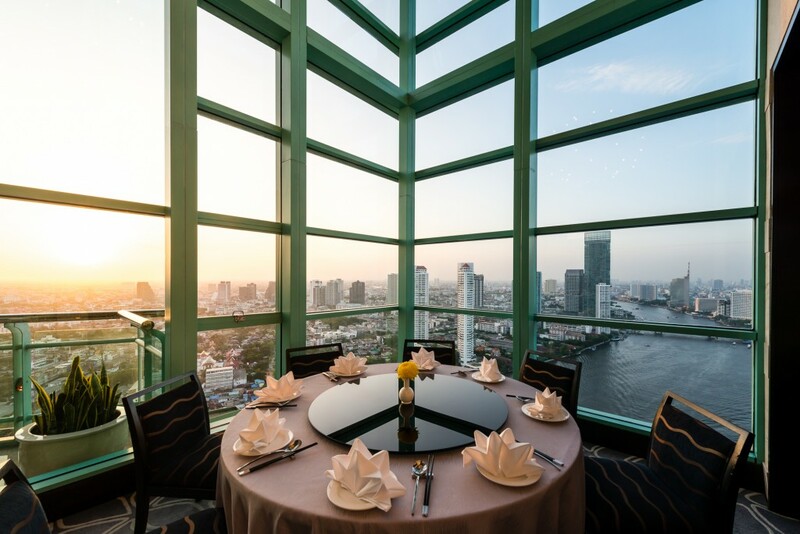 If Bangkok’s finest al fresco dining is what you seek then either Pier 28 on the ground floor terrace or the 6th floor Pool Bar invites you to sit back, cooling mixologist’s cocktail or ice-cold beer in hand and select from a menu of local and international snacks and full-course meals accompanied by incomparable views and stunning sunsets. The sedate Lobby Lounge is the ideal place for a relaxing meeting or get-together over your favorite “tipple” beside the tranquil, verdant greenery of the lotus pond and if your sweet tooth is crying out for something naughty but nice Treats Gourmet adjacent to the lobby has a wide display of gourmet sandwiches, breads, chocolates, preserves and cakes of every description baked daily on the premises perfectly complemented by a choice of the finest coffees and teas.